So it seems that the ammo has been opened up for the 1911 for EIC competition to any weight metal jacketed bullets...unfortunately this doesn't quite fall into my plans of casting my bullets for the upcoming season. What options are out there for jacketed ammo that will be a step up for accuracy and recoil from the 230gr for the .45? I'd assume it would be some sort of hollow point bullet between 185-200gr? Brian Mason wrote:My new short line load: 185 GR JHP, NO powder, just Large Pistol MAGNUM primer, 3 lb recoil spring. Bullets will not clear the barrel until the fifth shot, which will knock all five projectiles into the x-ring at once. Perfect! That way I can really make that Bullseye powder last, thanks for the tip! You're quite welcome, John! You see, all this reloading for Service Pistol matches is new to me because when I legged out, ammo was issued on the line in Dixie cups. 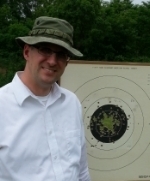 In fact, in the match I legged out in I was issued 27 rounds of corroded WWI ammo and 3 rounds of 30 Luger. But I didn't protest because at least it wasn't TZZ. In fact, one poor SOB got 30 rounds of TZZ and the recoil from the first shot blew his arm cleanly off (creating quite an unsafe condition on a firing line with 1400 people--matches were better attended back then). He still legged with his good arm. In the end they caught Charlie Askins with a 1911 modified to shoot .177 pellets and DQ'd him, then they DQ'd Joe Pascarella for using a dot (they also charged him with a felony). Andy Moody ended up winning the match despite drinking 4 cups of coffee (Pike's Place Blend), smoking 3 packs of cigarettes (menthol), and disassembling his pistol twice during Rapid Fire. Joe Benner turned out to be some general wearing Joe Benner's jacket, and First Leather scored a 294. At least that's the way I recall it, but you have to remember this was back in 2013 and then again I've been breathing a lot of primer smoke shooting indoor league, and I don't necessarily remember so good. I just bought 1000 Nozlers from midway and it was $189+20 shipping. They were in stock. AMMUNITION. Pistols fired in CMP EIC and National Trophy Matches will be required to shoot ammunition loaded with metal-jacketed bullets. Specific bullet weights will no longer be required, however. In the last 15 years, accurized M9 9mm pistols have dominated the top ranks of the National Trophy Individual and Team Pistol Matches. By allowing any safe jacketed ammunition, it will make the M1911 more competitive and will make other approved Service Pistols capable of shooting 250 minimum EIC cut scores. I hope they will be allowed, since I have quite a few, but I don't see where this allows them. I see a metal jacket on these bullets. Jacket is what the J stands for in JHP. I would interpret the rule as JHPs are legal under the new rule. 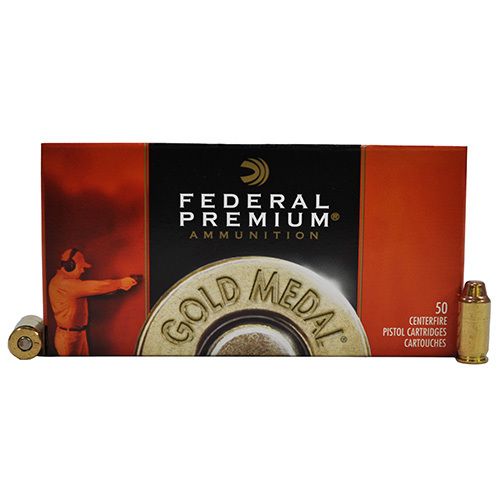 Sorry, we are currently sold out of '45 Acp (.451 Diameter) - 185 GR JHP'. Please check back later. Technically a FULL METAL JACKET would incase the whole bullet and a hollow point doesn't do that, JHP is how they are described so im sure they will have to make a call on this one way or the other. If a glock could shoot lead they would have kept the any safe ammo rule they originally were going to go with. They want the glock guys to get interested in the sport now. Whats funny to me is the cmp brags about how they got 200 opinions before changing the rules, 200?? ?Why not send the questions to the whole NRA members, bet the outcome would have been different. One of the CMP proposed rule changes that I saw stated that the committee was contemplating requiring a minimum of 250 for awarding a Leg. So, even if there is an ammo change allowing lighter loads, unless the badge chasers that attend EIC matches where snagging a 225 or less would get them a Leg, the 250 minimum rule, if passed, should keep the best shooters winning the Legs. Service Pistol. Service Pistol competitors may use any safe ammunition that is loaded with metal-jacketed bullets. Non-jacketed, wad-cutter or lead bullets may not be used. So looks like that rules out the jacketed SWCs but not the JHPs? Jkvandal wrote: So looks like that rules out the jacketed SWCs but not the JHPs? I would not be to sure that the new rule would rule out SWC's. The NRA recognizes the difference between SWC and WC. You can shoot SWC in the DSR match but no WC's are allowed. CMP is not the NRA so that is going to be another thing that needs clarified. Lots of 40 ammo looks and prints like a SWC. But there shouldn't be any issue with JHPs not being fully jacketed I hope...right? only until someone challenges the cmp on each variance and they render a decision will you know for sure. As I re-read it, metal jacketed should include jacketed wad cutters and hollow points but only they can decide. I received a clarification already. I sent the CMP this photo of 2 different "jacketed" bullets--one a Nosler 185Gr JHP that isn't jacketed on the tip and the other a ZERO 230gr FMJ that isn't jacketed on the base. Both styles of jacketed projectiles are acceptable under 6.6.2 Pistol Ammunition. Are JSWC out for sure? Jack H wrote: Are JSWC out for sure? How about plated bullets? There are more bullet companies than Berrys, that make completely covered copper bullets. This probably depends on what "jacketed" actually means. It used to mean a drawn-copper jacket where lead was pushed into the "jacket". Does this include a lead bullet where copper is electroplated around the lead? I believe JSWCs are legal. They are not prohibited because they are not wadcutters, they are SEMI-wadcutters. If you want something else use the 165gr Button Nose and the wadcutter name doesn't come into play. If you really want to shoot plated or copper bullets, go for it. I've never found one that is consistent enough for long distance shooting, and no match director will ever take your ammo and cut open the bullet to see if it's a jacket or a plating. As long as your round looks copper and not lead, you are good to go. marlin1881 wrote: How about plated bullets? 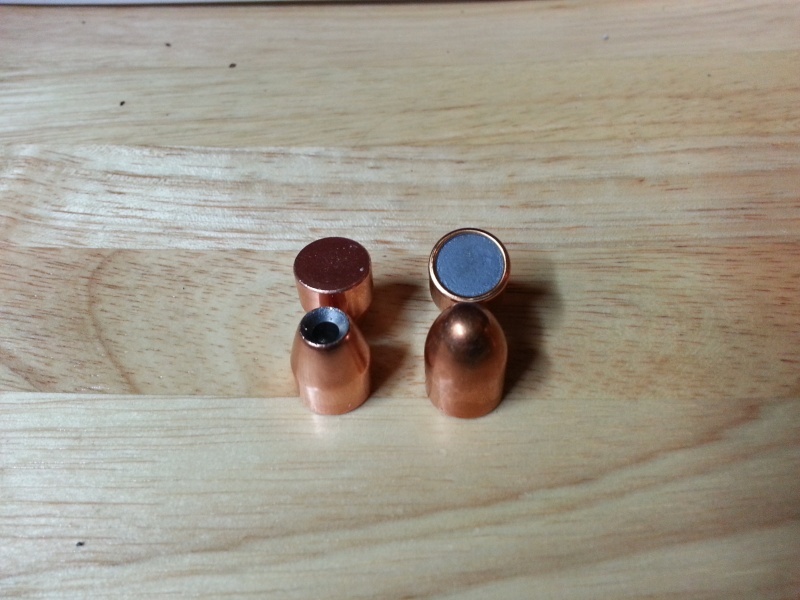 There are more bullet companies than Berrys, that make completely covered copper bullets. This probably depends on what "jacketed" actually means. It used to mean a drawn-copper jacket where lead was pushed into the "jacket". Does this include a lead bullet where copper is electroplated around the lead? don't waste your time or money on copper washed bullets many tests of all the major brands show they are not accurate for bullseye and only good for plinking or shooting steel. Going back to the original question. I think you should also consider the Hornady 185 gr HAP. I have used this bullet recently and it is very accurate. On sale right now at Midway (of course I ordered more before the sale). I think you could give these a try. I compromised between a kinda hot load and a weenie load and I load with 4.2 gr of BE. Remember the HAP is just like the XTP but they removed the grooves that make it expand. Just my .02. Good find! That could be a good bullet to use at 25 yards so I can save the more expensive Nosler for 50 where is accuracy really shines. I have plenty of 230gr FMJS for the short line! I bought some of these to try Nosler competition .451 185 gr. The Noslers are $167/k at Powder Valley. KenO, those Noslers are 100% legit. 4.3gr BE .468"crimp 1.21"OAL is a good formula for my gun. That is the most accurate of all loads in my gun. Thanks much for info Rob, I will try that load. jmdavis, I should have checked PV, if these work out, I will be ordering again.